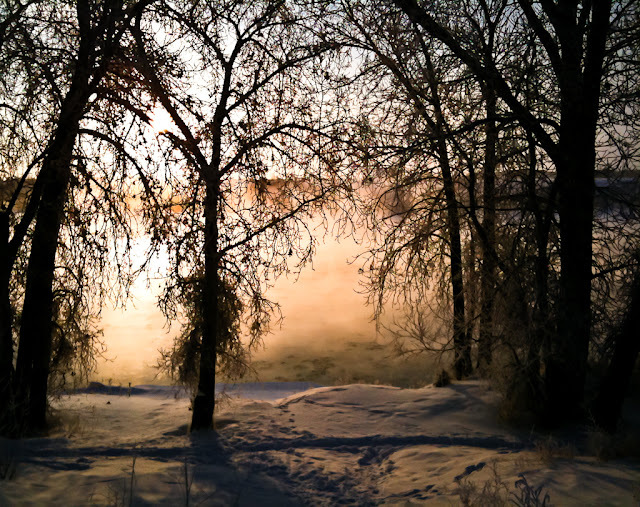 Join a Meewasin Valley Centre interpreter for a seasonal walk along the river, followed by hot cocoa and a heritage pomander craft on Sunday, December 18 at 2 pm. Call 665-6888 to pre-register. Join the Permaculture Research Institute for their first monthly get-together. The winter solstice potluck will be held in the basement of the Unitarian Centre (213 Second Street E.) from 6:30 to 9:30 pm on Tuesday, December 20. Drop in at the Saskatoon Zoo and hang out with some cool animals during the Christmas break. Members of the Saskatoon Zoo Society will be on hand with one of the socialized animals from 10:30 am to 12 noon and 1:30 to 3:00 pm on December 28, 29 and 30. The Saskatchewan Wildlife Federation is calling for nominations for the Bill McDonald Youth Conservationist Award and the Resource Management Conservation Award. The nominations deadline is January 1st, 2012. For more information or to submit a nomination, contact Jean Anne Prysliak at 306-692-8812 or jprysliak.swf@sasktel.net. Community groups and non-profit organizations working on community development and environmental initiatives (e.g. native planting, community food gardens, wildlife habitat restoration, workshops) are invited to apply for the Walmart-Evergreen Green Grants. Eligible groups must be working collaboratively with a local municipality or institutional partner. The application deadline is January 31. Greg Fenty, the Education Coordinator for the Saskatoon Zoo Society, received the 2011 Meewasin Conservation Award. Following university, Greg worked for Environment Canada throughout the Arctic and Saskatchewan. He is an active participant in the Saskatoon Nature Society, volunteers with Meewasin’s Monitoring Avian Productivity Species program, played a key role in establishing the Poplar Bluffs Canoe launch and Saskatoon Young Naturalists, volunteers with the Saskatchewan Marathon, and much more. Over the past 20 years, Greg has spoken to more than 150,000 youth about ecology and the importance of conserving biodiversity. Congratulations Greg – and thank you! Saskatchewan farmers have established their own weather network in order to ensure that they receive timely information that is focused on rural areas.